Ships today if you order in the next 9 hours 14 minutes. Don't Let Fatigue Get the Best of You! Do you have high levels of fatigue every day? Is getting up every morning a challenge, even after eight hours of sleep? Does stress seem to cause you extra anxiousness and frustration? Are you extremely vulnerable to every infection that's going around? You may be in need of adrenal support. 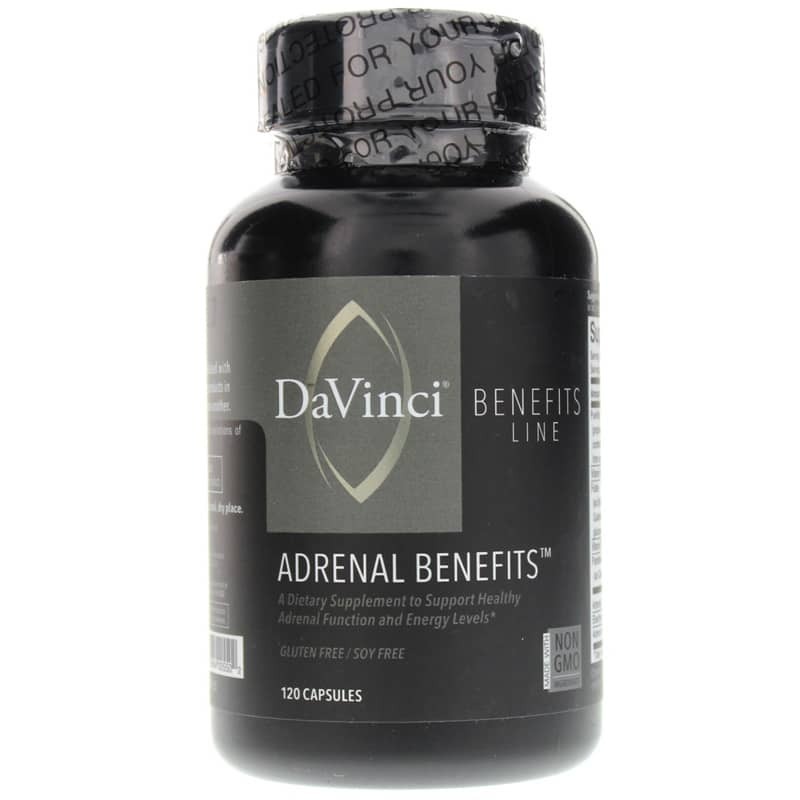 DaVinci offers a dietary supplement called Adrenal Benefits™ that seeks to support adrenal function, endocrine balance and energy levels. In addition to supporting adrenal function, this supplement also provides nourishment for the adrenal glands. It contains vitamin C, vitamin B6, folate, pantothenic acid, vitamin B12, Siberian ginseng and bovine glandulars. This product is free of gluten and soy. If you're looking for a natural supplement that seeks to support adrenal function, endocrine balance and energy levels, consider DaVinci's Adrenal Benefits™. Order online today! Contains NO: gluten, soy. Non-GMO.